September | 2015 | McWane, Inc.
Calhoun County is very fortunate to have a strong and diverse industrial base that helps buffer the community against economic downturn. Whether it’s transportation, utilities, medical, education, government, or other areas of the local community, they’re all impacted and supported by industry. Industry remains a cornerstone of opportunity and job creation in Calhoun County. Each September, during Salute to Industry Month, the Chamber recognizes industries for their many contributions to the area and for choosing the Calhoun County region for their business. 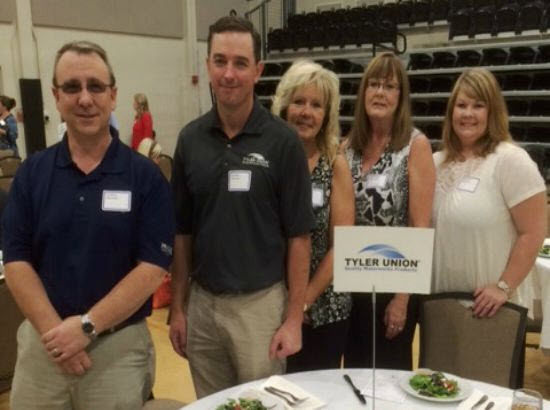 Tyler Union was once again recognized for the impact they have on the local community. 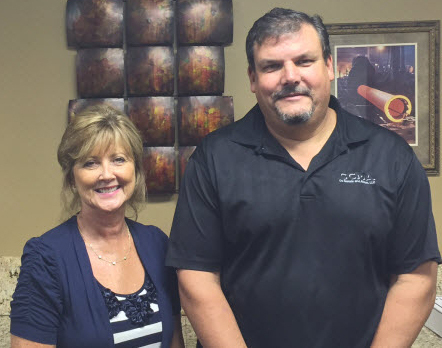 McWane recently celebrated two of their team members that have over two decades of service with the company. Marcia Calvert began working for McWane Coal/Empire Coke in 1989 in the Sales Department. Fifteen years later, in 2004, she transferred to McWane Pipe as Administrative Assistant for the General Manager and Executive Vice President for the Pipe Group. In 2008, she transferred to the Pipe Sales Department as the Inside Sales Manager until 2012 when she transferred to McWane International. Billy McMichael started his career with McWane at Union Foundry in the summer of 1986 while still in high school. He worked after school and during the summer cutting grass and picking up trash in the parking lot. Union Foundry hired Billy on October 5, 1987, in the Flange Shop where he worked nights threading stand pipe. After about six months, he moved into the Warehouse/Storeroom as a clerk, but was later promoted to Warehouse/Storeroom Supervisor/Buyer in 1997, and promoted to Purchasing Manager in 1999. He worked in that position until January 2008 when he joined the Supply Chain Department in Birmingham, Alabama. Thanks, Marcia and Billy, for your decades of service! 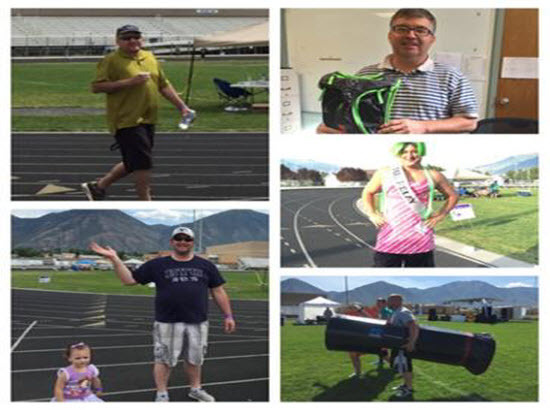 Every year, McWane Ductile-Utah (MDU) team members participate in fundraising for the American Cancer Society Nebo Relay for Life. In fact, they are the biggest fundraising team for the event, and this year was their most successful year so far! MDU had over 75 team members and their families participate on the day of the relay! They held a raffle for the number of laps walked, and Rick Garcia from Maintenance was the grand prize winner of a paid day off. Rick was elated and said, “I will be using this paid day off to go with my 17 year old daughter Valerie when she gets her port taken out.” Valerie has Hodgkins Lymphoma and MDU is happy to support Rick in being able to spend the day with his daughter. Casting Department Head Richard Simmons won Mr. Relay and Melting Department Head Nathan Thayne won the prize for the most unique boxcar, the Scrap Mobile. We are proud to report that MDU donated about $23,500 this year! As always, they had a lot of fun and are looking forward to next year’s event. Meet Marlene! She is a team member at Tyler Couplings in Marshfield, Missouri, and has been with the company for 44 years – WOW! 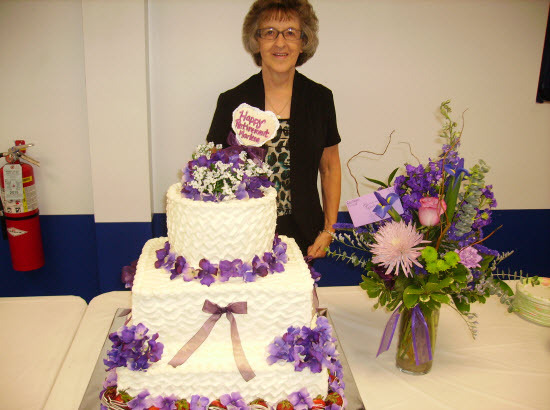 On Monday, August 31, a retirement reception was held at Tyler Couplings in Marlene’s honor. Cake and punch were served to team members, retirees, family, and friends. Marlene was also presented a beautiful bouquet of flowers and a watch in appreciation of her many years of service. Congratulations and happy retirement, Marlene! 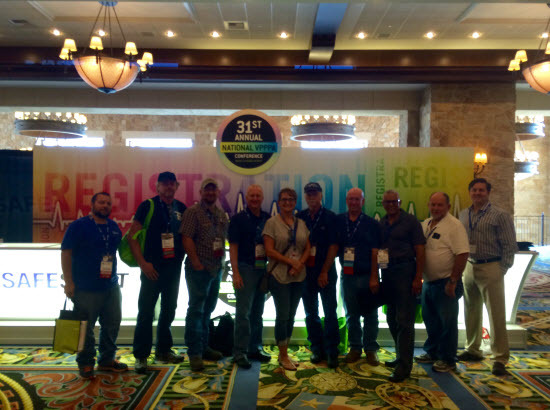 Attendees attend educational workshops designed to allow participants to exchange the latest best practices, programs, and innovations in occupational health and safety. The conference attracts some of the most innovative manufacturers of environmental, health and safety products and services, which give attendees an opportunity to see the latest and greatest products displayed all in one location. We are proud that McWane currently has six facilities that have been certified by OSHA as VPP sites, which is evidence of our strong commitment to the best safety practices possible. We are committed to being the best we can be by doing our very best!